If you haven't "liked" us on Facebook yet, now's your chance! We're back and better than ever with contests, Facebook-only promos, recipe links, sustainable food news, your very own community of Fork in the Road Foodies, and tons more. Click here to visit our page. Washington Post food columnist Jane Black argues that we just can't "shop our way out" of the issue of antibiotics in our meat supply. Instead, she says, "Only smart politics will yield smarter food." Through carefully crafted policy and strategic alliance, Black believes we can finally boot antibiotics off American farms, leading to cleaner, healthier meat. An op-ed published in the San Jose Mercury News is calling for a bold new action plan regarding antibiotic use in food animals. The piece, written by Fork in the Road farmer Russ Kremer and former FDA Commissioner Donald Kennedy, cite growing resistance to antibiotics used in commodity meat and, along with others, are pushing for new regulations. The duo has signed a national statement calling on the FDA and Congress to end the use of antibiotics in animal agriculture. "Released in September, one statement was signed by more than 150 of the nation's Ph.D.-level scientists and M.D. researchers," they wrote. 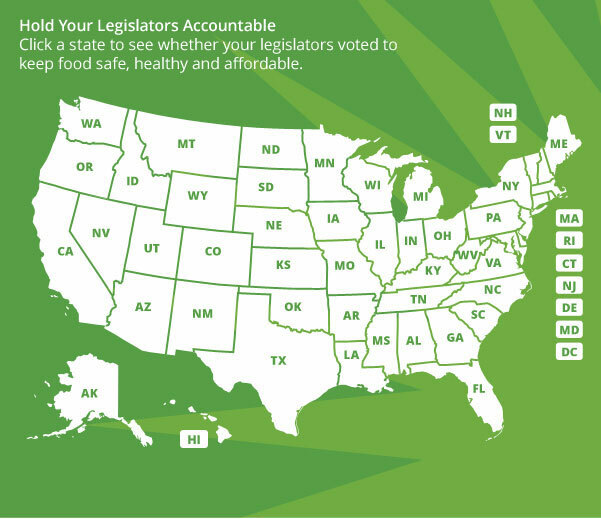 "Another statement was signed by more than 50 farmers, ranchers, and producers of antibiotic-free meat. These entrepreneurs signed out of concern for the health of their customers, neighbors, and employees — and their own families." Fork in the Road supports the efforts of these farmers, scientists and consumers by only sourcing meat free of antibiotics and added hormones. 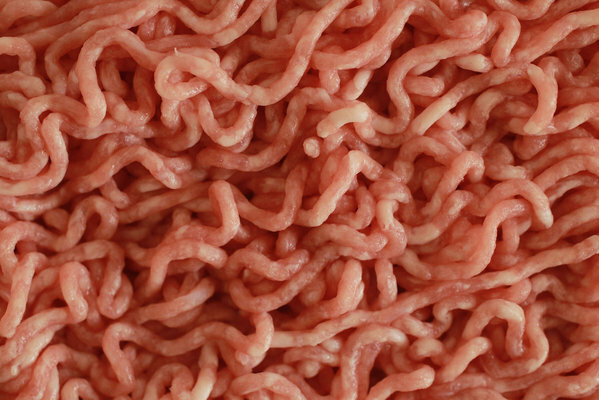 Consumer Reports found widespread bacterial contamination in the commodity pork supply, which could cause food poisoning and, worse, resistance to antibiotics. The study found that the majority of its bacteria samples were resistant to at least one of the medically prescribed antibiotics it tested in the lab. This resistance is directly linked to the routine use of antibiotics for hogs raised on factory farms. Fork in the Road only sources hogs raised by small family farmers who never ever give their animals antibiotics or hormones. 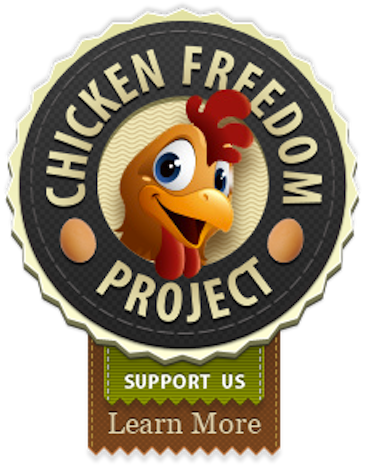 Illinois Farm Launches "Chicken Freedom Project"
When a commercial chicken farm came up for sale, the Slagel Family Farm took notice. The Slagel family had long been a leader in sustainable meat production, so when they saw 100,000 chickens housed in one building, stacked six cages high, they decided to do something. "After seeing the facility in person, we were determined to find a way to buy the property and destroy the caged bird system so it could not get into the hands of another factory farm and continue to operate..." they said. They plan to convert the farm into a free-range, sustainable model free of hormones and antibiotics. But to purchase the farm, they need a little cash infusion. They're running their own miniature kickstarter-style campaign through their website at www.slagelfamilyfarm.com/donate.html. Although Fork in the Road doesn't work with the Slagels, many of our farmers have converted their operations from commodity to sustainable over the years, throwing out cages and antibiotics along the way. The Keep Antibiotics Working (KAW) coalition says more than 150 research scientists and physicians and 50 farmers and ranchers are calling for action to end the sub-therapeutic use of antibiotics in animal ag production. At the forefront is Russ Kremer, who is the president of Heritage Acres — the cooperative that supplies Fork in the Road with its antibiotic-free and sustainably raised pork. KAW held a press conference Sept. 19 in which Kremer spoke about his own experience with antibiotic resistance after being gored by one of his hogs. Kremer said, "My doctor agreed that I had the same antibiotic resistant disease that my pigs had and immediately put me in the hospital with an I.V. treatment." Kremer now raises hogs without antibiotics and works with many other farmers to switch over their herds to the same methods. 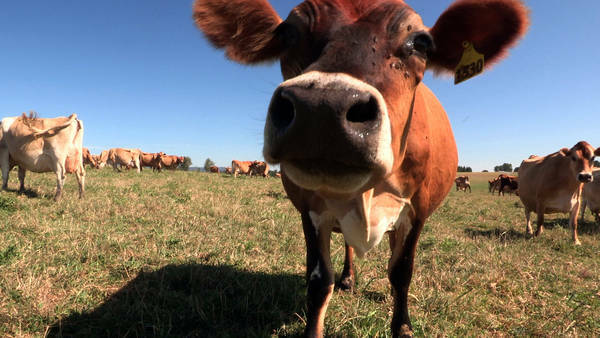 On pasture and without routine antibiotics, the dairy cows on Bob Bansen's farm are, well, happy. Nicholas Kristof of The New York Times profiled Bansen on his farm in Oregon. When asked about the financial viability of having a small dairy farm, Bansen said: "For productivity, it's important to have happy cows. If a cow is at her maximum health and her maximum contentedness, she's profitable. I don't even really manage my farm so much from a fiscal standpoint as from a cow standpoint, because I know that, if I take care of those cows, the bottom line will take care of itself." Fork in the Road sources much of its pasture-raised beef from small family farms in Oregon similar to Bansen's. These farmers are all committed to raising their cows on pasture without ever giving them antibiotics or growth stimulants. To see which farms contributed to the beef in your hot dogs, click on "Follow Your Food" from the www.forkintheroad.com homepage.